Bring in July 4th with 4 Ways to Improve your Cash Flow! Negotiate Vendor Agreement(s) – Even if your large customer says their terms are 60 days without exception, there still can be items that they can do to assist your company with its cash flow. They can often add a clause for early payments such as a 2% discount for a payment within a 10 day term…however, bringing your own independent financing through a factoring company can often save you a lot of money and provide more flexibility. Make Deals with Suppliers – Chinese Suppliers are tough, but if you take the time to visit and build a relationship with your factory, they will most likely support your company with some terms after the first year if your business has been smooth. Suppliers can be a great source of extra credit and relive strains on your cash flow, especially when selling to larger customers. Selling Smart – When selling to a large customer, we all dream of the big orders. These orders can just as easily become a dream as a nightmare. Start by selling smaller amounts by selling regions of retailers or via their online presence before rolling your product to all their stores. Even though buyers are looking for margin and product wins…you need to be able to win too. Sell smart. Get the Right Financing – Yes, we all think we should have a big credit line with the major bank across the street for at a half point over prime. Again, the faster you realize what financing is meant for your company, then the faster you can move on to selling and growing sales. Many small to medium size businesses need working capital to buy more products and to hire staff…one does not need to beg a bank for a line to grow. Commercial lending banks that specialize in lending to businesses like PMF Bancorp can setup lines of credit, AR financing, trade financing and many other types of financing without the brain damage that the major banks cause. The right financing allows you to get back to the business of marketing and selling…the right financing will evolve as your business develops appropriately. USC Marshall School of Business: Stephen Perl, CEO PMF Bancorp presents alternative business financing -Fin-tech to Crowdfunding from stephen perl on Vimeo. Short-term liabilities or debts include those aspects where businesses owe money to outsiders or their employees that have obligations to be paid within a year. Accrued payroll expenses and wages, accounts payable, short-term borrowings, lease payments, taxes payable, etc. are a few examples of short-term debts. When the amount of short-term debts exceeds total amount of current assets, a company’s financial position is not considered sound and management needs to take immediate action to rectify the course. How can these short-term debts be Paid off? While there is no escape from debts, ensuring steady cash-flows can maintain a healthy financial position. With sufficient cash in hand, paying off bills becomes easy and can be paid on time. This gives confidence to keep the cycles running. Businesses find it easy to finance a debt through short-term loans or overdrafts from banks. While this is not a good sign to clear debts by incurring new loans, businesses can do this by paying off loans that carry high interest rates with loans that carry a lower rate of interest to reduce some of the burden. This is also known as transferring of debts from one head to another. But, it is advised not to use short-term borrowings to finance long-term loans as it will eat into your working capital needed for operations. A businesses best use of funds is to use short term assets to pay short term liabilities, like increased payrolls or increased inventories. Longer term debt should be saved for capital improvements that have a longer horizon on return. Accounts receivable are often a businesses sore point because their customers like many others do not pay on time. Delays in payments from their customers is the basic reason why businesses incur more debt and have cash flow issues. But now with a reliable invoice factoring company in Los Angeles, most businesses here and many in other states are getting their unpaid invoices financed and utilize this amount to pay off debts. Companies in other states often use accounts receivable financing companies in larger cities like Los Angeles because they have more experience with larger varieties of companies due to the larger Los Angeles’ size and range of businesses. By resorting to accounts receivable financing, businesses, these businesses can immediately get funds right after completing the delivery of goods or services almost regardless of their industry due to the experience of larger factoring companies in the bigger cities. Therefore, with funds in hand, paying debts becomes easy. No more waiting for payments as AR Financing takes only hours to get done, thus reducing the cash conversion cycle. 80% of business failures are due to failed finance and working capital management. Highlighting the importance of the current assets and liabilities, a good performing business can see downfall if its receivables fail to produce cash when required. As majority of cash is sourced from receivables, a/r factoring is a great option for businesses to manage their funds smartly. Excess debts are detrimental and businesses must handle them diligently. Let’s face it – unsteadiness of cash flow cycle is the worst nightmare for a small business and there is sometimes seem to be no escape, but the right kind of financing such as accounts receivable financing may be your solution. Uneven cash flows restrict growth of businesses, leading them out of business due to heavy competition. In the process of building relations with your customers, businesses often extend trade credit or terms to their customers and in turn have to wait long periods for their payments. Situation worsens when suppliers start knocking the doors for their payments. Again, many other irregular expenses crop up that need immediate attention and meeting all these can be back-breaking. Business owners run errands for loans or request help from other sources to bail them out of such situations. When banks give out loans, they do it thorough credit checking the borrower through 3rd party credit bureaus to safeguard their potential loan and collateral. Due to irregularity in cash cycles small businesses have poor performance history in paying suppliers, which in turn affects their credit ratings. Many small businesses with low credit scores find it difficult to qualify for bank loans. It is imperative for businesses to have good standing credit score. 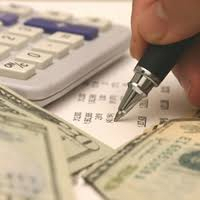 Accounts receivable financing is the process of converting invoices to immediate cash. How to build your credibility with Accounts Receivable Funding? Dwindling cash flows are the reason businesses perform poor and have low credit scores. Getting receivables factored can be the best remedy to manage funds while improving credit points. Most businesses in Michigan as well as other business in many other states use accounts receivable financing for instant access to cash. With minimum credit requirement, businesses can combat their cash flow issues and focus on their performance and credit scores. Factoring invoice financing can also assist in rebuilding a company’s business credit because the business will now have the working capital to pay their suppliers on time, or even early. The payment to your supplier will most likely be recorded by one of the 3rd party business credit bureaus and improve your company’s credit score. 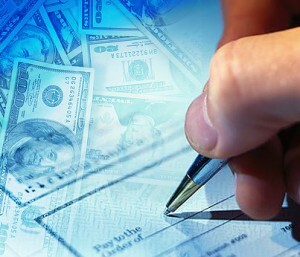 Among the many benefits, this is another real positive from financing invoices via factoring. For businesses in Michigan as well many other across the country, finding a reliable invoice factoring company can solve most of their cash flow problems.Factoring companies in Los Angeles have extensive experience not only providing factoring but other commercial lending products so going calling on a firm like PMF Bancorp that has been providing commercial lending for decades is a very safe call when looking for cash flow solutions. Businesses see immediate cash-flows and can clear-up all their outstanding expenses and debts. Leads to a better credit score. Timely payments to suppliers increases their trust on businesses and builds good relationship. A good relationship with suppliers can result in better discounts and offers. Leads to a better credit score. Businesses get access to funds without adding to their debts. Lowers overall debt. Leads to a better credit score. With more working capital in hand businesses can stretch their limits to accept new assignments, thus increases sales. Leads to a better credit score. For small business owners and entrepreneurs with low credit scores, getting access funding is challenging. Building a trustworthy reputation takes time and invoice factoring is one best alternative to improving cash flow and growing your business. This all leads to a better credit score. Be certain to do a financial review of your business annually! It’s that time of year again! 2017 is right around the corner, and for many business owners that means doing a financial review of the progress they made in the past twelve months. 1. How much money did you make? A strong sign of a healthy growing business is if your annual net profits exceed that of the previous year. You will also want to review performance on a quarterly or monthly level as well in order to determine which periods were the most profitable for your business. 2. Did sales perform better or worse than expected? Unlike gross profit, revenue is simply the amount of money the company gained from sales activities. You should compare each period’s total sales revenue to both external and internal factors. This will allow you to determine whether or not sales varied because of factors such as new competitors entering the market or if a marketing campaign was ineffective. 3. Were your expenses on budget? It’s important to pay close attention to your expenses because even small changes can make a significant impact to your bottom line. With this in mind you want to find out where expenses deviated from your annual budget and why. This information can then be used to reduce costs the following year or adjust your budget accordingly so that you can create more accurate goals for sales and gross profit. 4. When was cash flow the tightest? Most businesses experience periods in the year when cash is low. You will want to know when this happened and why. Knowing when these periods occur, will allow you to create a more successful financial strategy. In any business that sells on account, cash flow lags sales by the average receivables aging. If your sales are low in the summer and increase in the fall, your cash flow will be lower as you move into your busier season and you will not have the cash available to support your growth. Here, if you want to consider adding financing options to reinvigorate cash flow, your plan should include invoice factoring financing, small business loans, and / or a combination of programs for maximum effectiveness. These four questions will provide you with some very valuable information that will play a vital role in your plans for the upcoming year, especially if you plan to grow or expand your business. You can use these insights to determine which times of year would be the most profitable, which strategies are the most effective, and which financing solutions would be the best choice to fund new projects. PMF Bancorp’s hands on assistance and experience allows are clients to arrive more easily and solve their financial needs through are many flexible working capital programs.